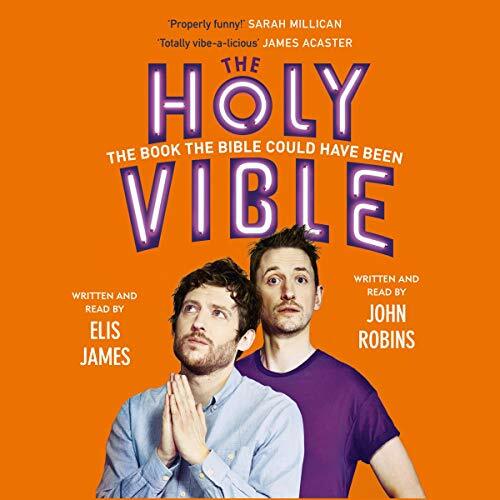 Showing results by narrator "John Robins"
Audible exclusive. 'For me writing was a way of making sense of the world.' 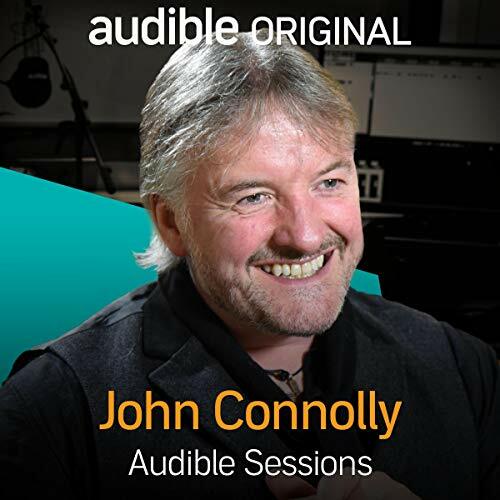 John Connolly joins us in the studios to discuss books, authors and the lure of writing. John Connolly is an Irish writer who is best known for his series of novels starring private detective Charlie Parker. These hilarious tales of urban terror reveal the dark truth hidden behind three seemingly innocent words - a phrase that you have seen a hundred times before but will never view in the same light again - WANTED TO SHARE. 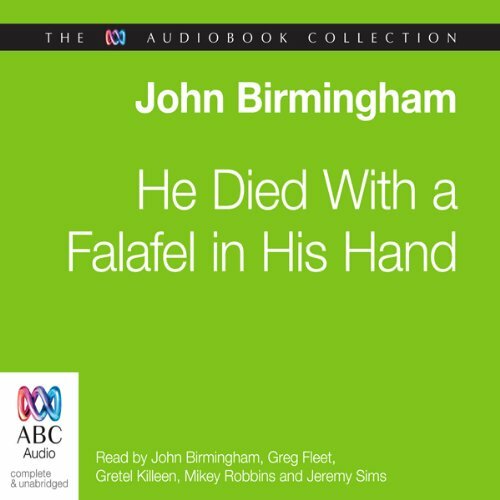 John Birmingham's rendering of a life in share houses will leave you laughing, cringing and reminiscing about your own brushes with the mad, bad residents of flat mate hell. Gotta love it when Chaos fights itself. 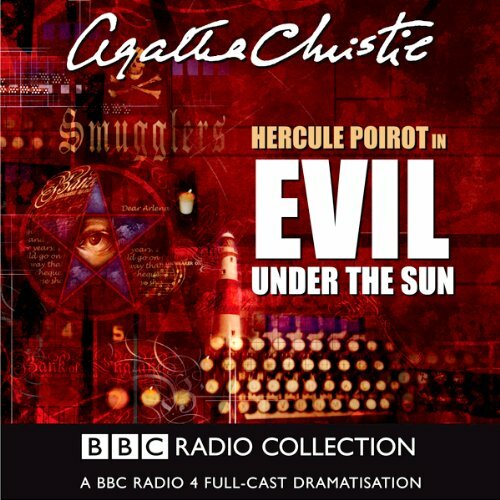 A chill inducing and masterful collection of vampire tales, culled from the dark recesses of the nefarious and world-renowned Vampires Archives. 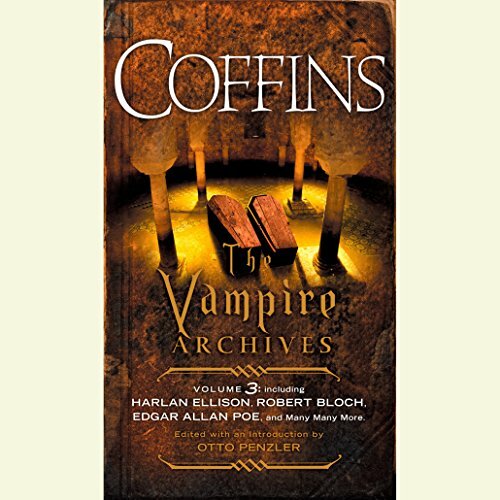 Coffins, the third volume in the series, contains some of the best of the best vampire fiction. The authors, including Harlan Ellison, Robert Bloch, Edgar Allan Poe, and F. Paul Wilson, take listeners readers deep inside the crypts of the living dead, in all their supernatural splendor. 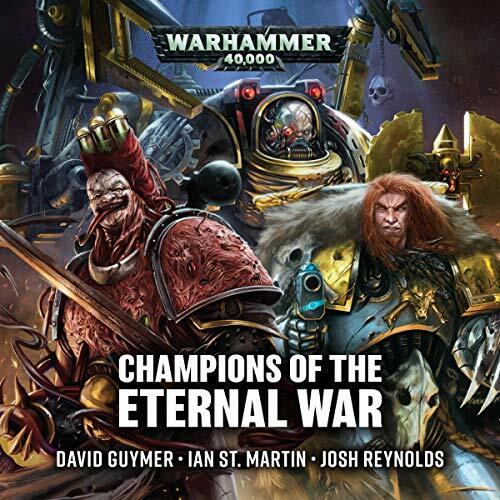 Heed now three tales of the Champions of the Eternal War.... 'The Calculus of Battle' by David Guymer. As the defenders of Varasine battle a tyranid invasion, Warleader Kardan Stronos and the Iron Hands come to their aid, measuring the Chapter's cold logic and strategy against the cost in human lives. 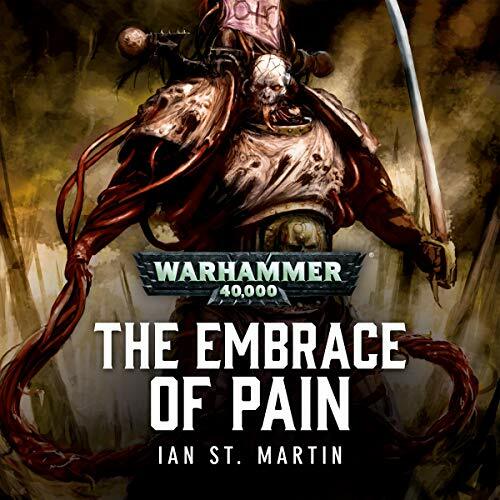 'The Embrace of Pain' by Ian St Martin. 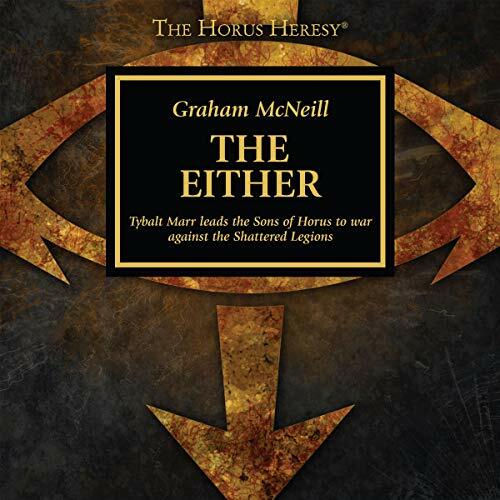 When blademaster Lucius the Eternal is challenged by a champion of the Death Guard, he accepts without hesitation...but could a daemonhost of Nurgle, or the voices inside his own head, be the undoing of his Slaaneshi curse? The evil Lords of Zhev'Na kept Gerick captive for months. 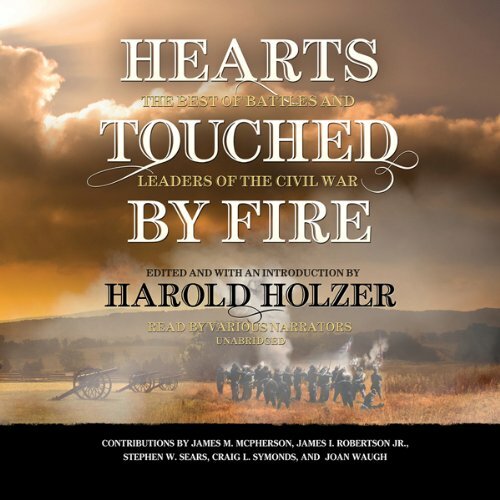 Although his parents rescued him, he remains tormented by his experience-and mistrusted even by those who love him. 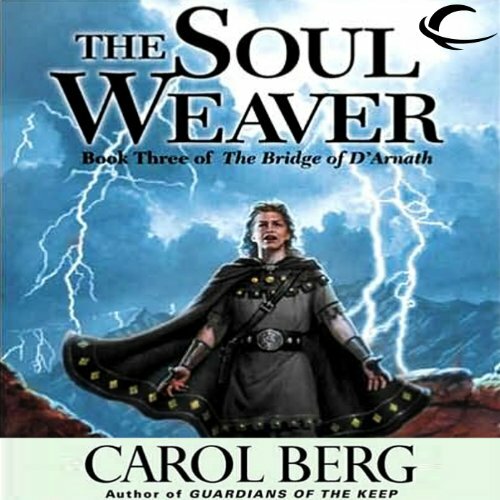 Accused of treason, Gerick flees and takes refuge in a magical realm full of outcasts, where he will discover how to use his own magical talent-soul weaving-to save his people from Zhev'Na. 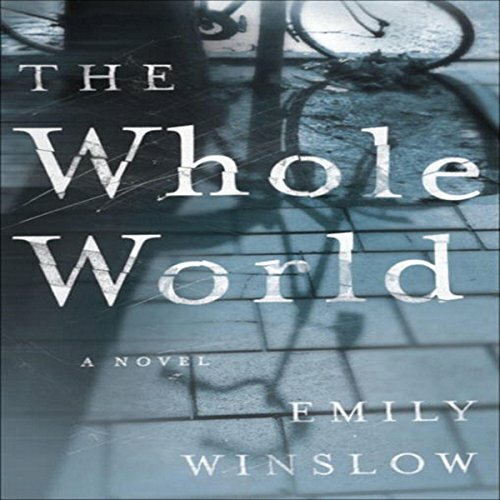 At once a sensual and irresistible mystery and a haunting work of psychological insight and emotional depth, The Whole World marks the beginning of a brilliant literary career for Emily Winslow, a superb, limitlessly gifted author. My One World Wake UP Call® is part of a series of patented inspiring, motivating messages invented by former longtime Broadway star Robin Boudreau Palmer. My Wake UP Call® Motivational Alarm Clock® Messages & My Good Night Messages™ are uniquely structured, morning and evening five-minute messages with renowned experts and thought leaders, who bookend every day with inspiration to achieve your personal goals and dreams, instead of with blaring buzzers and negative news. 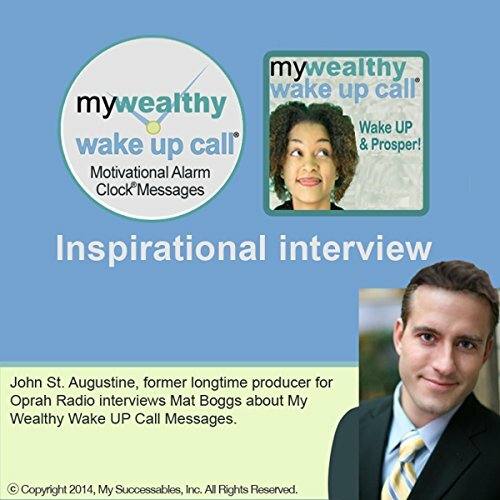 My Powerthoughts Wake UP Call™ Morningl Motivating Messages™ Volume 2 - Power UP your mornings with former longtime Oprah Radio Sr. Producer, John St. Augustine. My Powerthoughts Wake UP Call® is part of a series of patented inspiring, motivating messages invented by former longtime Broadway star, Robin Boudreau Palmer. 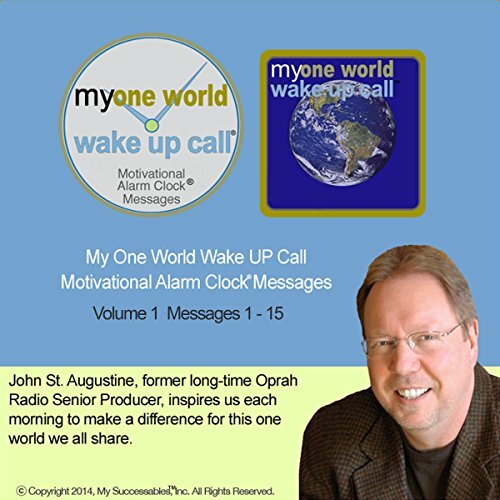 My One World Wake UP Call™ Morning Motivating Messages™ Volume 2 - Awaken to inspiring messages about our precious planet from longtime Oprah Radio Sr. Producer, John St. Augustine. My One World Wake UP Call® is part of a series of patented inspiring, motivating messages invented by former longtime Broadway star, Robin Boudreau Palmer. 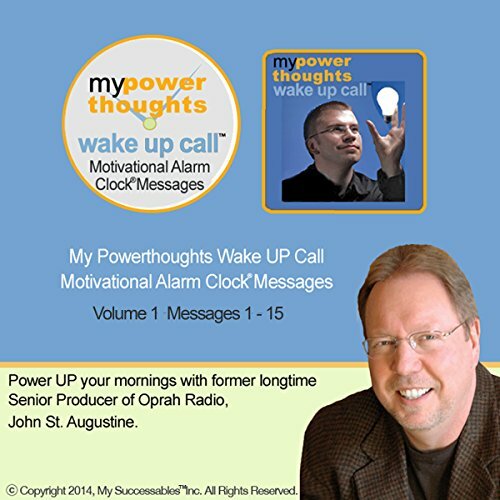 My Powerthoughts Wake UP Call™ Morning Motivating Messages™ Volume1 - Power UP your mornings with former longtime Oprah Radio Sr. Producer, John St. Augustine. My Powerthoughts Wake UP Call® is part of a series of patented inspiring, motivating messages invented by former longtime Broadway star, Robin Boudreau Palmer. Power UP Your Thinking in Just 5-Minutes a Day! 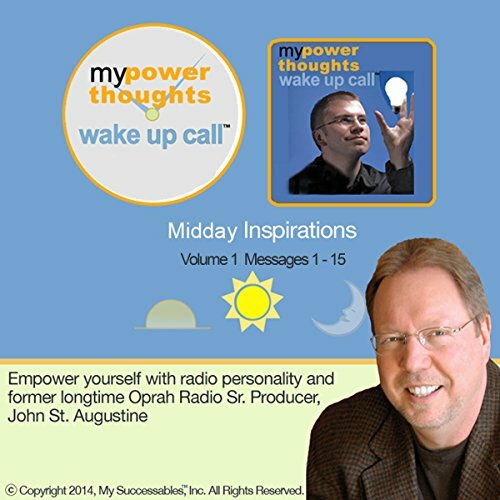 Power UP your thinking with this series of daily, five-minute Powerthoughts messages featuring radio personality and former longtime Oprah Radio Senior Producer, John St. Augustine! Wake UP Call is part of a series of patented inspiring, motivating messages invented by former longtime Broadway star Robin Boudreau Palmer. Power UP Your Thinking in Just 5 Minutes a Day! 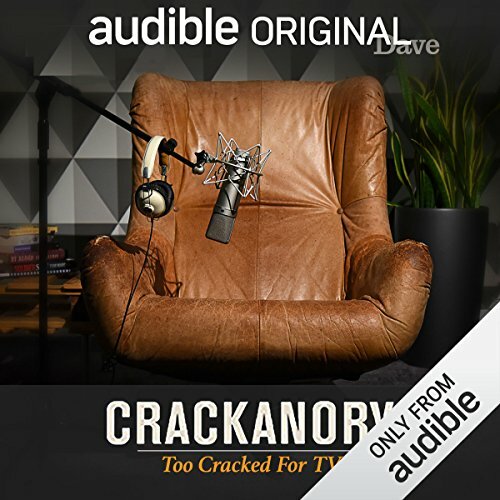 Power up your thinking with this series of daily, five-minute Powerthoughts messages, featuring radio personality and former longtime Oprah Radio Senior Producer John St. Augustine!